Almost invisible. The XS WIRELESS Presentation Set is an all-in-one package – the ideal partner for impressive presentations. The professional ME 2-2 clip-on microphone, easily attached to your clothing, ensures a powerful sound transmission – and an enthusiastic audience. 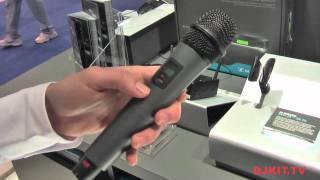 Considering purchasing the Sennheiser XSW 12 Presentation Set Wireless System Channel 38 ? Have questions? Ask people who've recently bought one. Our Society carries out a regular series of talks throughout the year . These are held in our local school hall . Our current microphone system needs replacing . We use the the school's PEAVEY 14 Channel mixing console Model PV14 .USB . It is only speech not music . Would this Sennheiser system be suitable . Do you own the Sennheiser XSW 12 Presentation Set Wireless System Channel 38 ? Why not write a review based on your experience with it. 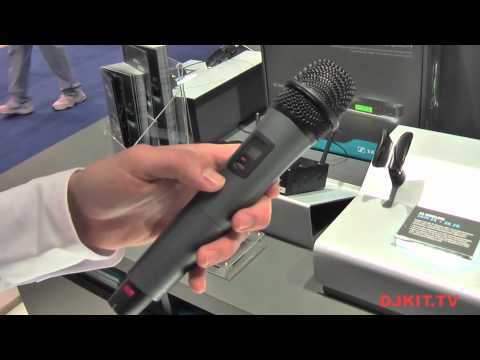 Seen a video for Sennheiser XSW 12 Presentation Set Wireless System Channel 38 online or have you own video? Check out Sennheiser XSW 12 Presentation Set Wireless System Channel 38 on DJkit.com!